Hummingbirds are ecosystem sentinels as they provide important environmental functions, such as insectivores and pollinators. However, there is a shortage of information on disease incidence, prevalence, and population health for hummingbirds. 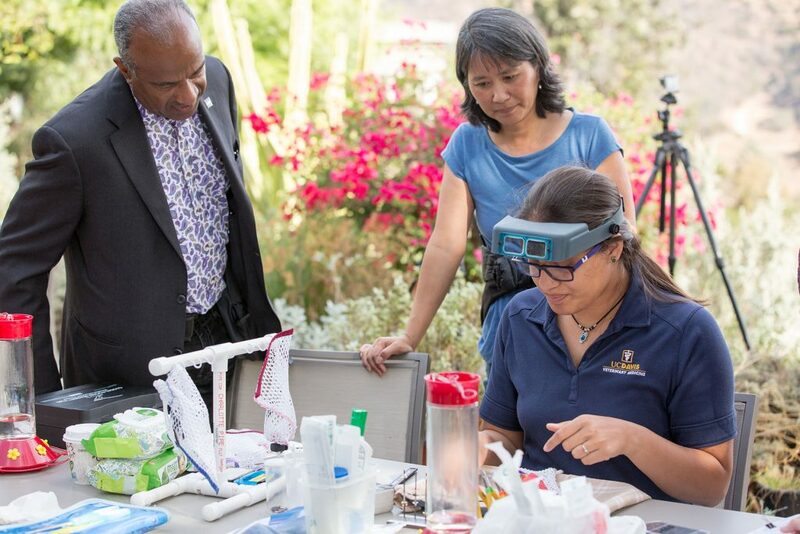 The focus of the UC Davis Hummingbird Health and Conservation Research Program is to provide key scientific information to fill in these gaps. Hummingbirds are biological wonders and a backyard delight for modern-day urbanized humans. These charming acrobatic birds enchant us, and in reciprocation, humans entice hummingbirds, either with with feeders or flower rich gardens, to visit our urban environments. From a global standpoint, hummingbirds provide critical ecosystem services, as they fly from one flower to another in quick succession over large distances, consuming nectar and thousands of minute insects. Unfortunately, hummingbirds need help because of habitat loss, fragmentation of breeding and wintering grounds, and changing climate that can have negative impacts on hummingbird health and nutrition. In addition, hummingbirds are susceptible to human induced situations such as heavy metal and pesticide exposure, injury and death due to window strikes and predation. Until now, minimal research has been done evaluating hummingbird diseases and determining which risk factors impact their reproduction, nutrition, and health. 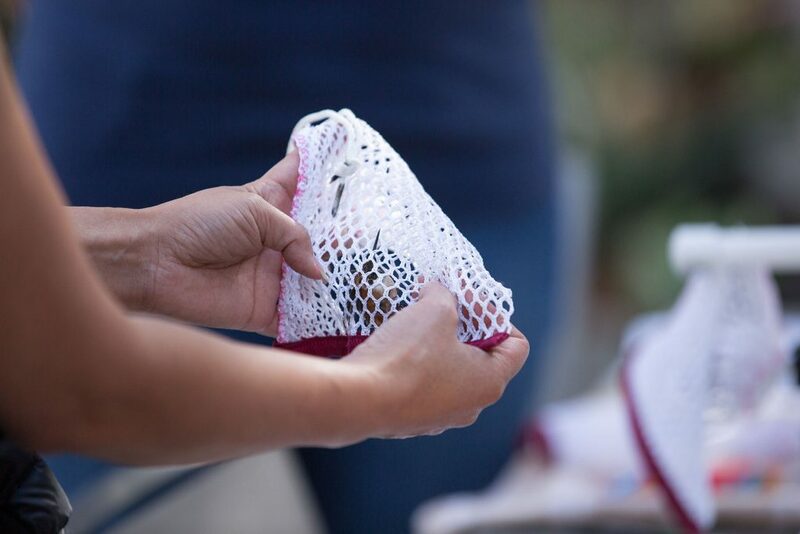 The UC Davis Hummingbird Health and Conservation Program focuses on establishing normal health parameters, identifying disease risks, and helping to maintain healthy hummingbird populations. 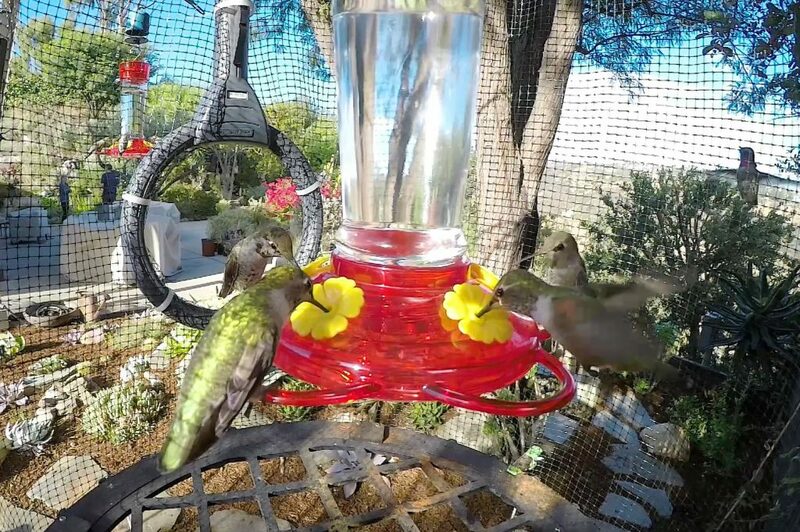 Its mission is to use education, research and outreach to sustain healthy hummingbird populations and inspire people to invest in ecosystem health. 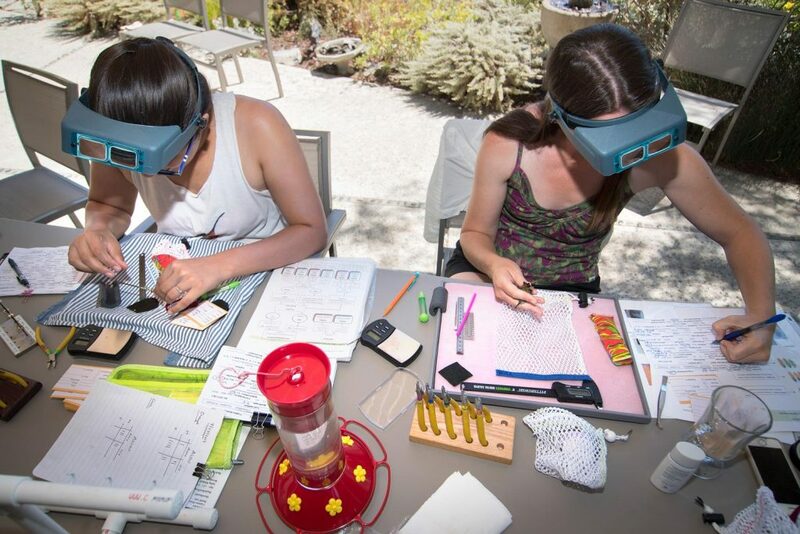 The UC Davis Hummingbird Health and Conservation Program (HHCP) is a diverse group of researchers, students, and volunteers dedicated to studying and protecting hummingbirds throughout their range. The health and population dynamics of key hummingbird species are our highest priority. 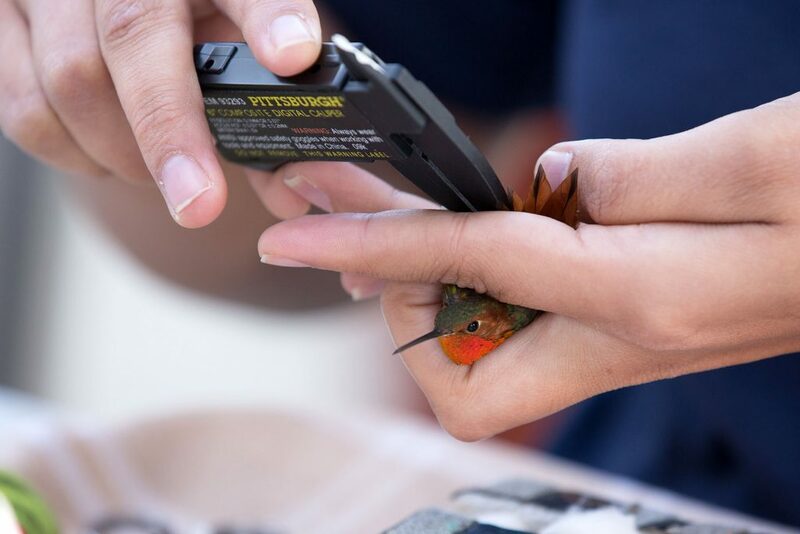 HHCP researchers, expressly trained in handling and banding hummingbirds, conduct banding sessions, analyze blood samples, and collect data on hummingbird sightings. 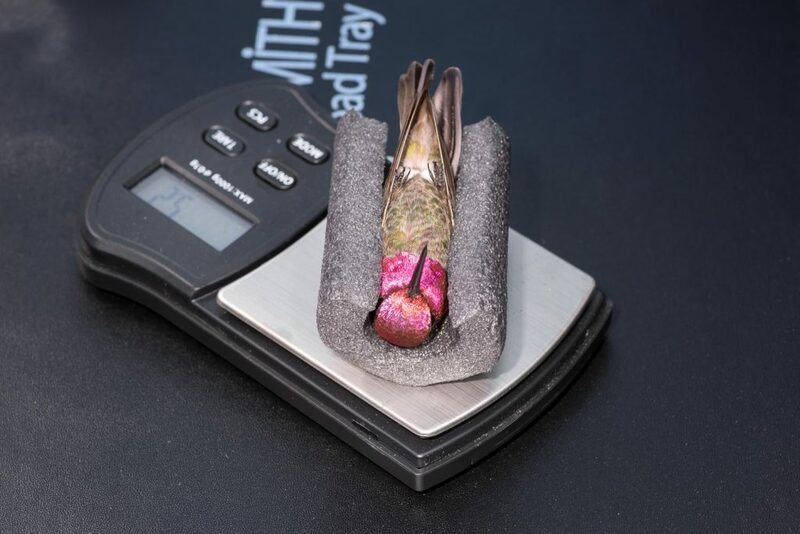 HHCP researchers track factors that affect hummingbird health so that standards and guidelines to monitor hummingbird health can be established in California.